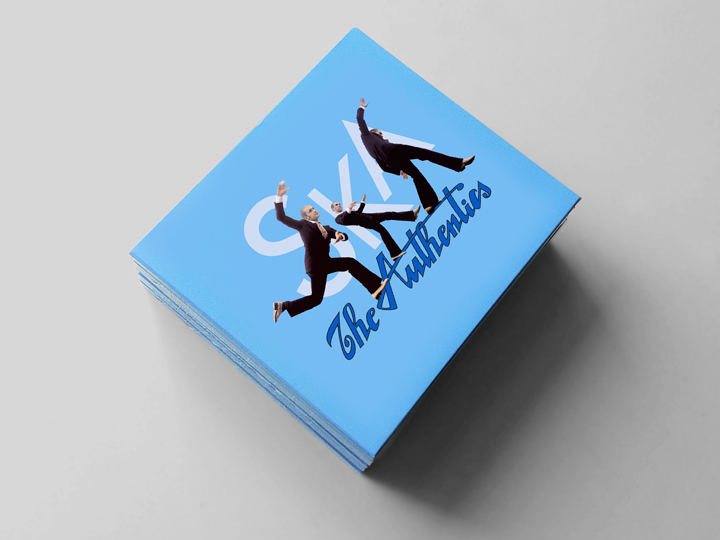 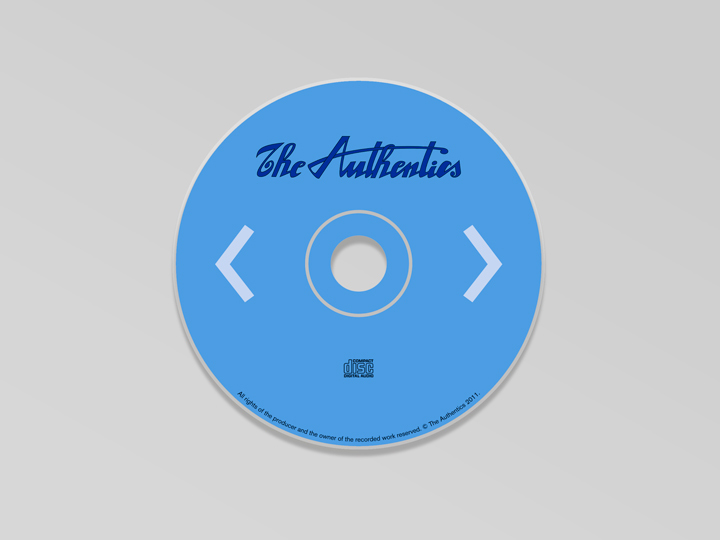 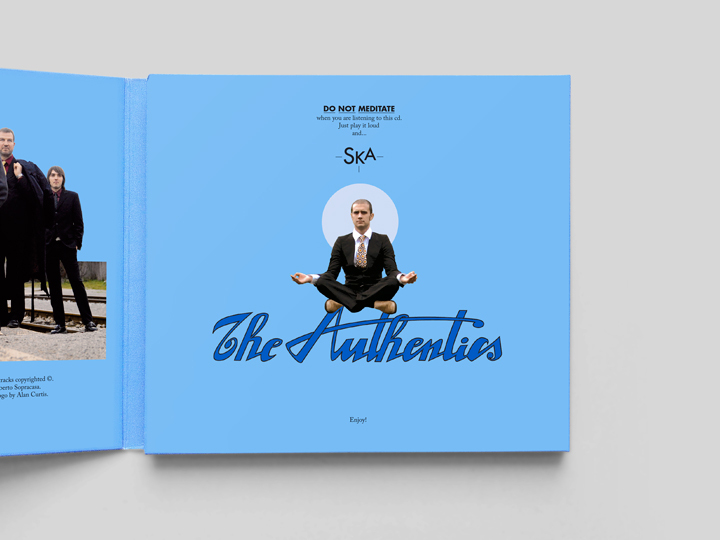 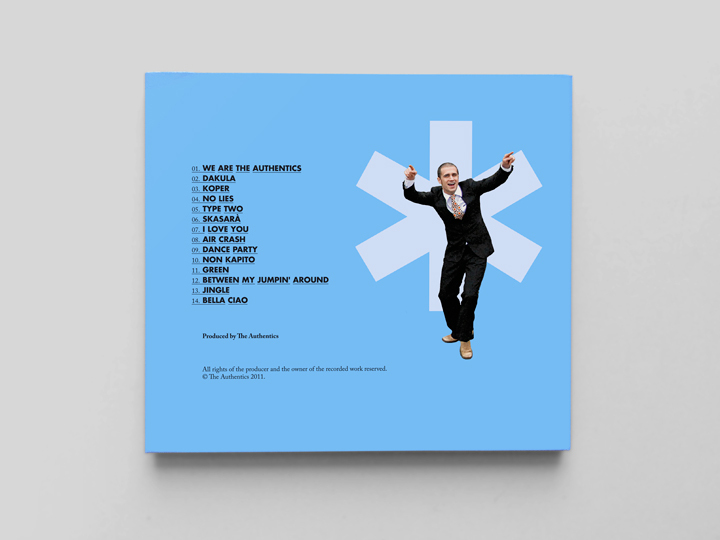 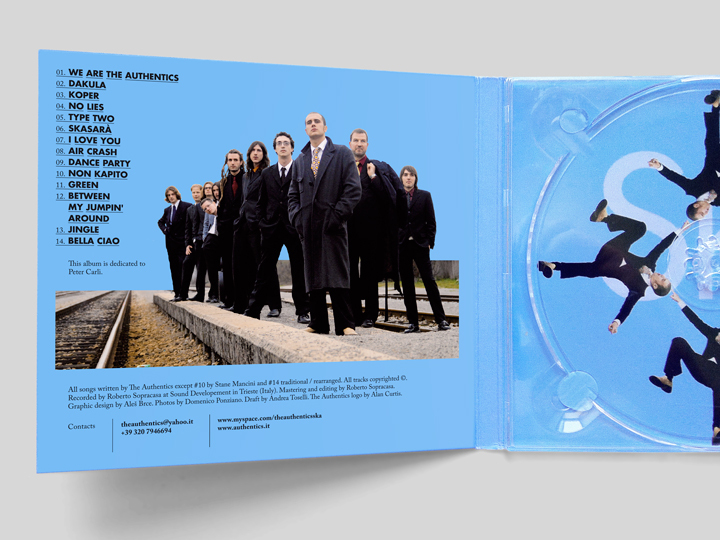 The digipack for The Authentics (orignal ska band from Trieste, Italy) first album is designed with the intent to transmit through typographic and photographic elements the groovy spirit of the musical production itself. 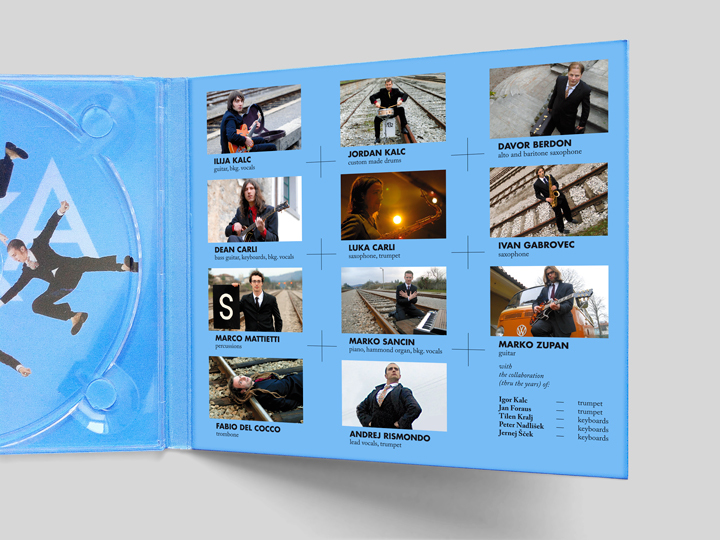 Funny poses by ‘uncontrollable’ band singer Andrej during the photoshoot offered big inspiration for the design process and provided a perfect frivolous mood to the whole thing. 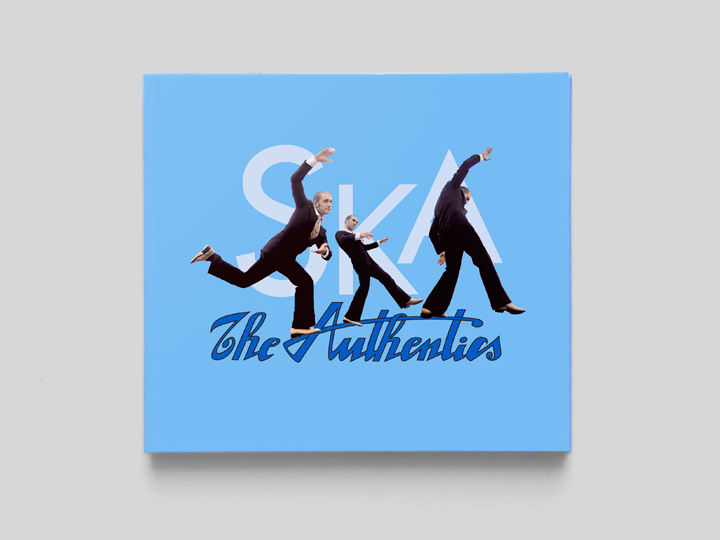 Ska means jumping, shaking, dancing. 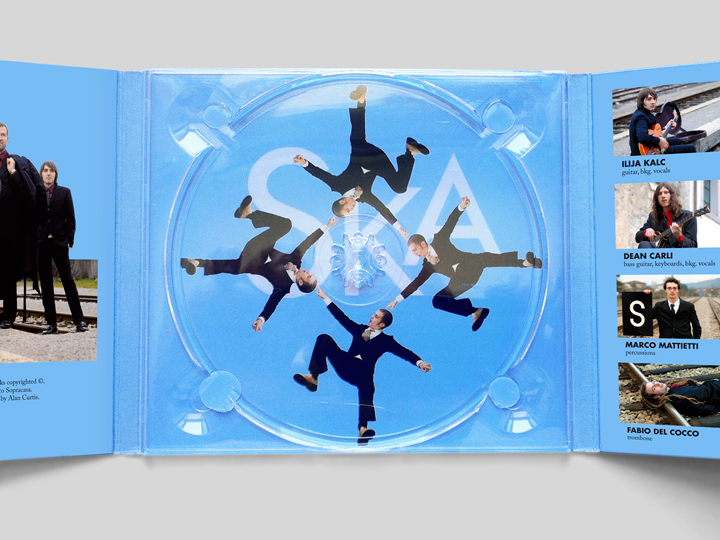 So a moving figure on the cover and inside the whole package suites good for a skanking layout.